Van Rompuy is a Bilderberger and attended one of their meetings before his appointment, where he met and was instructed by Henry Kissinger. Don’t be fooled by his quirky looks, as it seems to have been Satan’s deliberate intention for his son/representative here on the earth to have the appearance of a harmless old man. But we all know what he is, and what he is going to be capable of. With all due respect, it would now seem that because the Antichrist has now been revealed and appointed, the possibility of the pre-tribulation theory of the rapture as being correct is looking more and more remote. There may be some hope for the pre-tribulation theory of the rapture... as being correct but I am extremely doubtful...[If the Antichrist has come forth] then after having received his crown he will start WW [III] by attacking the U.S.
Wild-eyed supposition abounds, and I guess surrounding issues and events feed the anxieties. One such peripheral matter certainly infuses the mix of such preposterous postulation with fuel for the fires of fear. It seems that President Barack Obama has decided, after all, that he will travel to Copenhagen to attend the UN Global Warming Summit on December 9. He will, the word is, push negotiations for a comprehensive climate accord one day before he accepts his Nobel Peace Prize at Oslo, Norway. 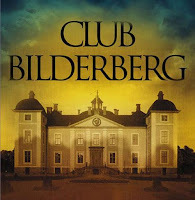 Fear of many among Bible prophecy watchers - and even secularist world watchers like Rush Limbaugh, Glenn Beck, and others - is that the upcoming Copenhagen meetings and others like them represent the global elitists' attempts to establish world government. The beast - Antichrist - and his false prophet will come out of a one-world order, according to the thirteenth chapter of Revelation. Development of the global warming crisis and the cry for global governance to make all nations of the world give up much of their sovereignty is front and center in current news headlines. So, it is not too far-fetched to see from whence the somewhat over-the-top declarations such as the one above comes. Add to this the deceptive, conspiratorial nature of the globalists' contrived planetary warming rants, and it becomes more understandable that the warning systems of many are super sensitive when contemplating things to come. That much of what we've been told about the planet's heating up to dangerous levels, and the carnage that will spin off from such a catastrophe, is a hoax came to light this past week. LONDON - A leading climate change scientist whose private e-mails are included in thousands of documents that were stolen by hackers and posted online said Sunday the leaks may have been aimed at undermining next month's global climate summit in Denmark... ("Scientists: Leak of Climate E-mails Appalling," AP, Newsmax.com, 11/23/09). The emails of some of the leading scientist proponents of global warming were bared for all to see and study. Rather than put the spotlight of investigation on the conspirators, mainstream news media were corporately angry at the hacker who exposed the global warming hoax. The ramifications of the revelations could yet be devastating to the attempts to tax all "guilty" nations in the supposed Co2 emissions footprint indictments. Such accusations and indictments are suspected as looming during the Copenhagen summit. The mainstream U.S. and world media are silent for the most part on the exposed deceit among the global warming scientists and other proponents. Perhaps this increases the thinking that Antichrist is upon us at this present hour. Certainly, the beast regime will have a sycophantic media that will deceive, delude, and obfuscate at every turn - so much so that most will believe the lie, according to the apostle Paul's prophecy as recorded in 2 Thessalonians chapter 2. Now we beseech you, brethren, by the coming of our Lord Jesus Christ, and by our gathering together unto him, That ye be not soon shaken in mind, or be troubled, neither by spirit, nor by word, nor by letter as from us, as that the day of Christ is at hand. Let no man deceive you by any means: for that day shall not come, except there come a falling away first, and that man of sin be revealed, the son of perdition... (2 Thessalonians 2:1-3). Such pretrib scholars as Dr. Thomas Ice are convinced that a "falling away" - the Greek word apostasia or "departure" - in this passage means the departure of the Church from planet earth. The theological argument for this meaning isn't undertaken lightly, but is arrived at through deep prayer and study by top pretrib prophecy experts. Antichrist will first make himself known when he confirms the seven-year peace covenant of Daniel 9:27. Then, he will show his true colors as the man of sin and the son of perdition when he declares himself to be God at the midway point during the seven-year tribulation period (2 Thessalonians 2:4; Revelation 24:15). Bottom line is that we are still in the stage-setting process for the "prince that shall come" - Antichrist. It is time to be watchful (Mark 13: 37), but not to speculate wildly on matters where the Scripture plainly foretells otherwise.